If you’re a driver in Santa Cruz, you’re probably all too familiar with this scenario: fuming and cursing as you sit helpless in barely-budging traffic, hopelessly late to an important engagement. Freedom from traffic jams and the road rage that goes with them is one of the selling points of Blix’s specialty: electric bicycles. Though they don’t look much different from other bicycles, e-bikes have battery-powered electric motors that can add up to 20 mph to the speed generated by pedaling. 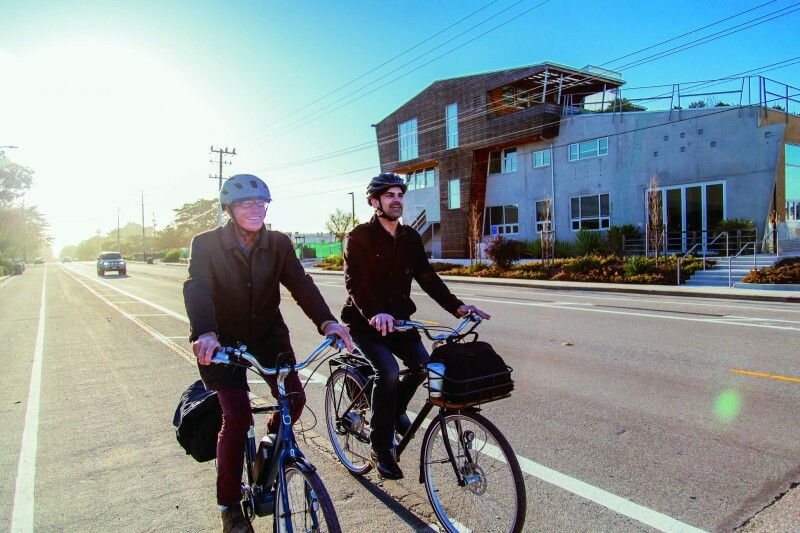 “The motor doesn’t add on any resistance, so if you normally bike 30 miles per hour, you will be able to do that with an e-bike, too,” Malmberg states. With four different levels of electric assist allowing riders to choose the amount of help they get from the motor, e-bike users can still get plenty of exercise if they so desire. Between that and the fact that some models can be folded in half for easy storage (the better to be brought aboard a bus or train for those who use multiple modes of transportation), these vehicles offer an appealing alternative to driving. Electric bicycles have been around since at least as far back as the 1800s, but in recent years they’ve been enjoying a dramatic surge in popularity all over the world. Residents of the Asia Pacific region purchased 32.8 million e-bikes in 2016, while 152,000 were sold here in North America during the same year. Malmberg claims that business has been doubling for Blix year by year since its launch in 2014. In 2016, an especially good year, sales of the commuter/town bikes increased by 75 percent. While rising gas prices have undoubtedly played a part in the increase in electric bicycle use here in the U.S., Malmberg also points to rising awareness of wellness and environment. In addition, he cites the aforementioned decrease in the convenience that cars bring, as well as some improvements in technology that have resulted in safer, lighter and more user-friendly e-bikes. Safety is particularly important in light of the road safety concerns surrounding these vehicles. For example, in the late Aughts, a spike in electric bicycle use in China brought a rise in e-bike-related deaths. Thus, the speed that the motor adds is deliberately limited to 20 mph based on regulations. According to Malmberg, a trustworthy battery is crucial to e-bike safety. For this reason, Blix bikes offer a monitor system that will automatically shut down the battery if it senses anything unusual. This prevents not only overcharging, but also out-of-control speeds, as all power to the bike is cut off each time one brakes. Blix’s bicycles have Panasonic cells like the ones found in Tesla batteries. “It works the same as the battery in a cell phone,” Malmberg notes. “You can charge it as much as you want. You don’t have to wait for it to completely discharge.” He adds that users can either charge the battery while it is on the bike or slide it out from under the seat and charge it under their desks at work. 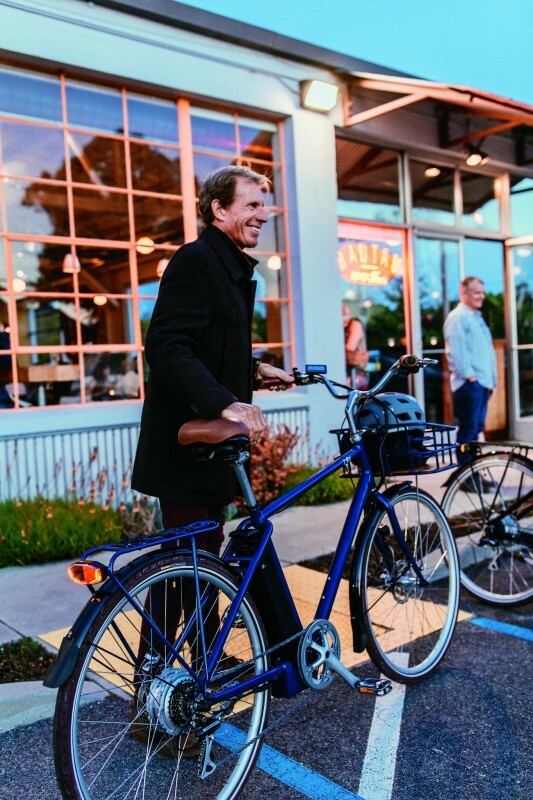 Malmberg, who says he and his associates chose Santa Cruz as the home of Blix because it offers the active-lifestyle mindset upon which the company is built, has heard from customers who have sold their cars after discovering the convenience of e-bike riding. People with disabilities have also told him that these bicycles have enabled them to start living again. Blix Bicycle: 2877 Mission St., Santa Cruz; (855) 655-BLIX; blixbike.com.